Acute Misfortune is a riveting account of the life and death of one of Australia’s most celebrated artists, the man behind the Archibald Prize-winning portrait of David Wenham. 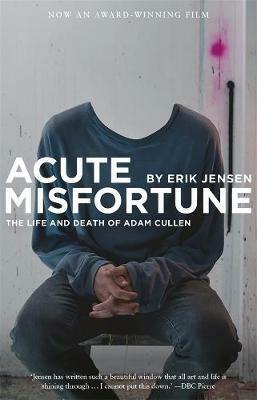 Jensen follows Cullen through drug deals and periods of deep self-reflection, onwards into his court appearance for weapons possession and finally his death in 2012 at the age of forty-six. Order online and we’ll ship when available (29 April 2019).